Shipping is not free, please contact us for your custom shipping quote before ordering! Custom crafted from pine wood and steel bar, these high-quality single dog crates transform your pets’ home into a stylish addition to your home’s decor. Each dog kennel features a 2.5” base, stylish locks, and matching hinges in brass, nickel, or black. 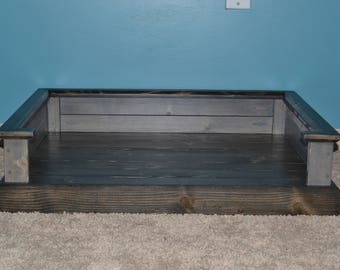 Available in 24 different stain colors allowing your new dog house blend seamlessly into your decor. Our dog kennels are designed for pets that have completed crate training. 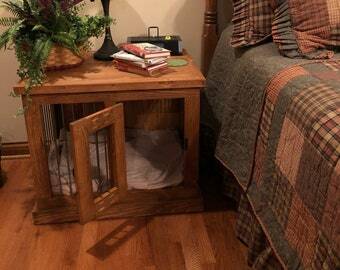 However, should your dog damage any part of your new dog crate, replacement parts are available. 🐶 Shipping & Assembly: Upon purchase, Your single door dog crate ships within 8 to 10 weeks. Your kennel will arrive pre-assembled, so there will no assembly, allowing you to place and enjoy. 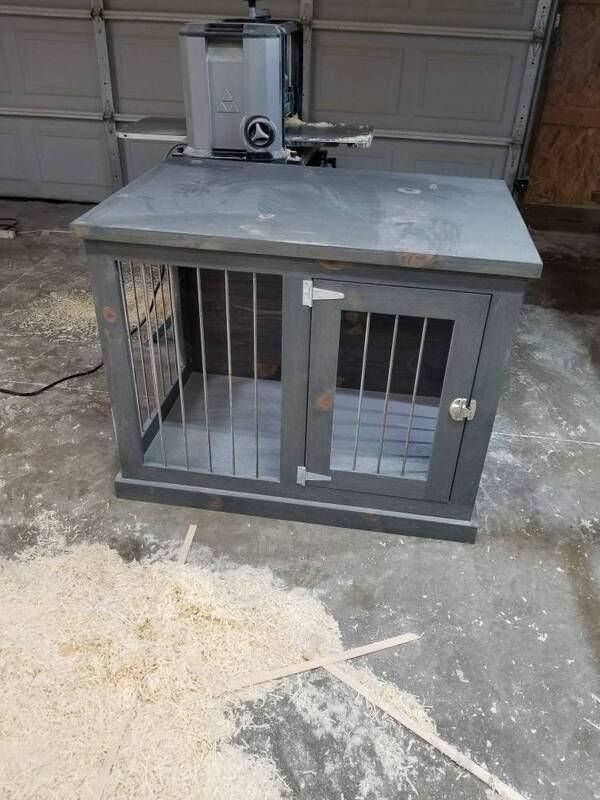 If you are mechanically inclined, you may order your dog crate unassembled allowing you to save money on shipping costs. 🐶 *Shipping can cost as much as $300 for our pre-assembled dog kennels. 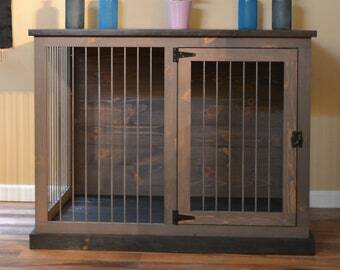 Smaller kennels such as the XS, S, Med, and often the L, will be shipped to your home. However, The XL and XXL will arrive at the nearest shipping terminal and require pick up.